National Network of Women Human Rights Defenders in Mexico – On August 10th and 11th, as many as twenty-five women defenders met in Morelia, Michoacán, to acquire security instruments with a comprehensive feminist approach that enables them to continue their human rights defense work in conditions of security and equality. In the workshop given by the Mesoamerican Initiative of Women Human Rights Defenders and the National Network of Women Human Rights Defenders in Mexico (RNDDHM) —a civilian group made up of 225 women defenders in the country, participants reflected on the adverse context in which they perform their daily defense work and exchanged experiences related to their diverse struggles. The defenders who came from twelve local organizations advanced in the construction of comprehensive feminist protection plans with aspects of self-care and both physical and digital security. The group was characterized by its diversity. Those attending the workshop included, young, elderly, rural, urban and indigenous women… They were defenders of the right to education, to land and territory, to adequate housing, to truth and justice, and also defenders of the right of women to a life free of violence and to sexual and reproductive rights. The workshop held in Michoacán is part of the project entitled “Secure women defenders. Constructing democracy and promoting human rights in Mesoamerica,” which fosters comprehensive protection mechanisms with a gender perspective among defenders in the region. 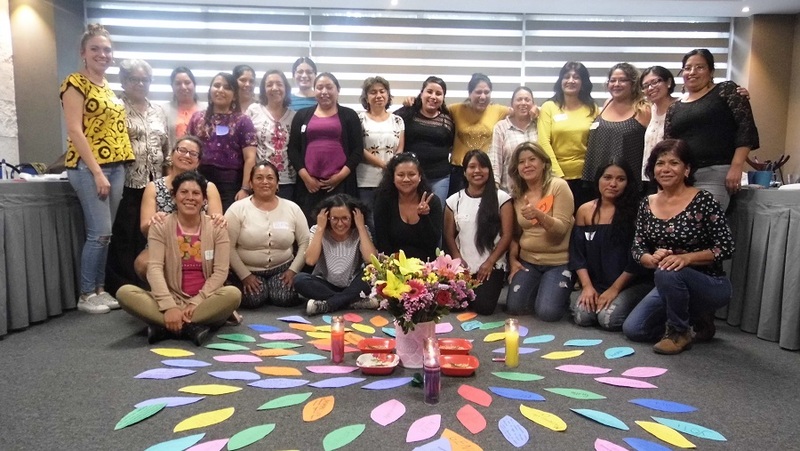 Also in Mexico, a workshop was held on July 13th and 14th in Mérida, Yucatán, and attended by around thirty women defenders from Yucatán, Campeche and Quintana Roo, members of fifteen organizations devoted to the defense of human rights. Two more workshops will soon be held with women defenders in the country. The RNDDHM has documented the fact that in the current government regime, women defenders have been the target of at least one attack every day. In this same period twenty-five women have been killed as a consequence of their work in defense of human rights. These include Guadalupe Campanur Tapia, an indigenous defender from the community of Cherán, killed on January 15, 2018, in Michoacán.